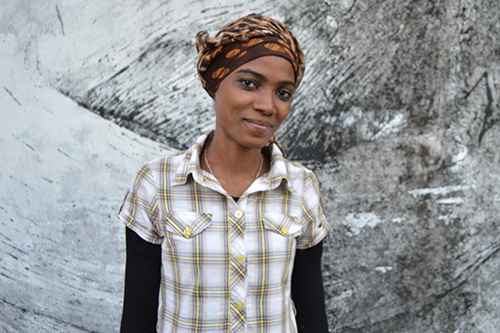 NGAZIDJA, Comoros – When Jiminie Moussa was 16, she began dating a man who was old enough to be her father. Her family in Ngazidja, the largest island in the Comoros, tolerated the relationship because her boyfriend supported her studies – but that all changed when she became pregnant. In her conservative community, there is great stigma attached to being an unmarried teenage mother. “When I found out I was pregnant, I immediately informed my parents, and they recommended that I have an abortion because my boyfriend is not from our village and I was a minor,” she recalled. She moved in with a married friend, but tried to keep the pregnancy a secret, at least until she had completed her exams at school. “I wanted to learn and prepare for them while thinking how to solve this,” she said. She took an overdose of medication. Fortunately, her friend found her and rushed her to a hospital. 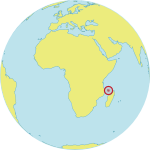 In the Comoros, the adolescent birth rate is 70 per 1,000 girls aged 15 to 19. Globally, the figure is much lower – 51 births per 1,000 girls. UNFPA is working to increase access to family planning information and supplies in the country. All health centres are now supplied with contraceptives, and surveys show women are increasingly using modern family planning methods. Still, young people face additional barriers. Lack of comprehensive sexuality education leaves many without basic knowledge about their bodies. And many are too ashamed to seek sexual and reproductive health care. UNFPA and its partners – in particular the organization ASCOBEF – are working to raise awareness about reproductive health issues among the country’s adolescents. Together, they teach young people about reproductive health, family planning, how to prevent sexually transmitted infections and where to receive youth-friendly reproductive health services. Despite her pregnancy, Jiminie was determined to continue her education. She received tireless support from her friend. Today, the friend and her husband are taking care of the baby while Jiminie attends university. “We agreed that they would keep my child until I finished my studies and found a job,” Jiminie explained. She also works with a youth programme supported by UNFPA and ASCOBEF, teaching girls to stay in school and to prevent unplanned pregnancies. “I advise other girls my age, and tell them that what happened to me,” she said. They should wait until they are responsible enough to handle a relationship, she tells them. They should also learn about sexual and reproductive health. “When we are adults we can understand if the person we want to date is serious about us or not. Then you should be able to deal with this, and be able to avoid unwanted pregnancies and abortions,” she said.